Capt. 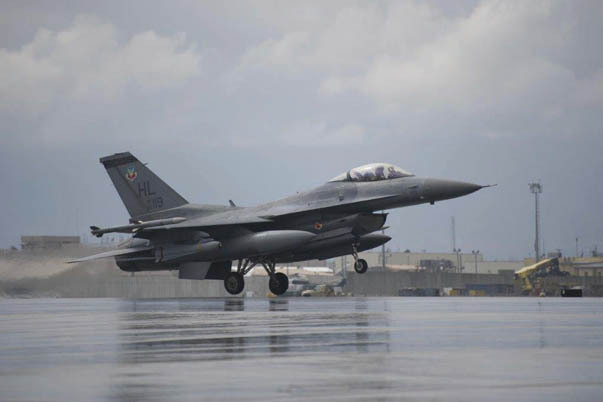 Tim Six, a 421st Expeditionary Fighter Squadron pilot, takes off for a combat sortie in an F-16 Fighting Falcon at Bagram Airfield, Afghanistan, March 14, 2016. 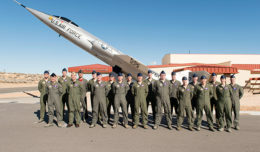 The 421st EFS, based out of Bagram Airfield, is the only dedicated fighter squadron in the country and continuously supports Operation Freedom Sentinel and NATO’s Resolute Support missions. On Sept. 11, 2001, the world changed. Following the attacks, in 2001, the U.S. Air Force was deployed against the Taliban forces in Afghanistan. Operating from Diego Garcia, Chagos Archipelago, in the Indian Ocean, B-52 Stratofortress and B-1 Lancer bombers attacked Taliban positions. The Air Force deployed daisy cutter bombs, dropped from C-130 Hercules cargo planes, for the first time since the Vietnam War. During this conflict, the Air Force opened up bases in Central Asia for the first time. 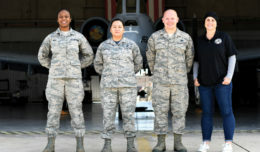 The Air Force was deployed in the 2003 invasion of Iraq and, following the defeat of Saddam Hussein’s regime, the Air Force took over Baghdad International Airport as a base. Operations in both Afghanistan and Iraq demonstrated the effective utility of Unmanned Air Vehicles, the most prominent of which was the MQ-1 Predator. A total of 54 Air Force personnel died in the Iraq War. By December 2011, all U.S. forces were removed from Iraq. In March 2011, U.S. Air Force jets bombed military targets in Libya as part of the international effort to enforce a United Nations resolution that imposed no-fly zone over the country and protected its people from the civil war that occurred when its dictator, Muammar Gaddafi suppressed the protests calling for the end of his regime. Protests were inspired by the revolutions in Tunisia and Egypt.